10.5" x 10.5" stitched on 14 count. 8.2" x 8.2" stitched on 18 count. 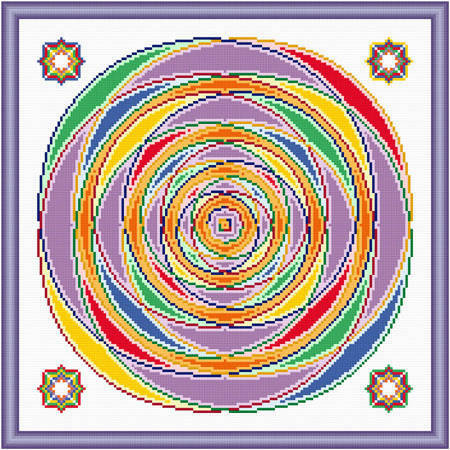 Around We Go cross stitch pattern... Each of the 4 sets of circles are interlocking. The use of color to fill in the spaces between the circle outlines helps give a spinning effect. Floss may be changed. Whole stitches are used.